Welcome to October and another month of clever and creative craftiness! 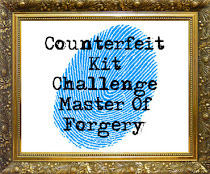 Start at the Counterfeit Kit Challenge blog here to get the full introduction. Let's give a warm welcome to Laura from Beads, Buttons and Birds. She is our winner from our 1,000th Post Page Kit Contest. And her reward for assembling a fantastic kit and project? Counterfeit Queen for the Month! 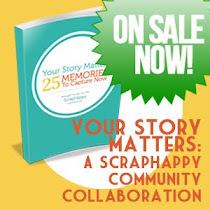 Laura had the opportunity to choose this month's inspiration, as well as craft our 3 challenges. And she did an awesome job, I might add! So since we are creating kits under the reign of Laura, our Queen, it seems only proper to have a kit fit for a royalty. I spy some Maggie Holmes and Heidi Swapp! Scrapbook Royals in my book, don't you think? I included some Heidi Swapp papers that include her signature font. I thought that worked as a great substitute for those cut out scripty words. Also nestled in the bunch is a new sheet from the My Mind's Eye Market Street Collection. Those polka dots work with the playfulness of this kit, while the gold accents make it regal enough for a princess. I had several exact pieces of this month's kit, so in they went: the Maggie Holmes stickers and bows and the blue floral wood grain paper by MME. Most times I have nothing that is an exact match, so don't worry if you don't. However, when I saw those familiar "faces" I exclaimed, "Hey! I know you!" It was like reuniting with an old friend! So, into the kit they came to play this month. Also, no fancy princess kit would be complete without doilies. I found some fun colored polka dotted ones by Doodlebug while shopping at Scrapbook Expo that will add just the right amount of girl power to my layouts. The resin cameos "Live Laugh Love" were also a recent purchase from a scrapbook store near the beach town I visited over the summer. Now THAT'S my kind of souvenir! You may have noticed that my printer's tray is a bit different this month. I actually scored a second one on clearance at Marshall's! It even has a neat little drawer pull detail on the front. The compartments are a bit smaller, but it does the job. Sometimes I'm not quite ready to dis-assemble the previous month's kit before I have to start thinking about the next month so now I can have 2 going at once! Anyway, enough ABOUT the tray! Let's talk about what's IN it! I included plenty of pink pretties like crocheted trim, ribbon and washi, more Maggie Holmes in the form of die cuts, some Heidi Swapp die cut flowers and some special baker's twine from my dear Lisa. So, there you have it! 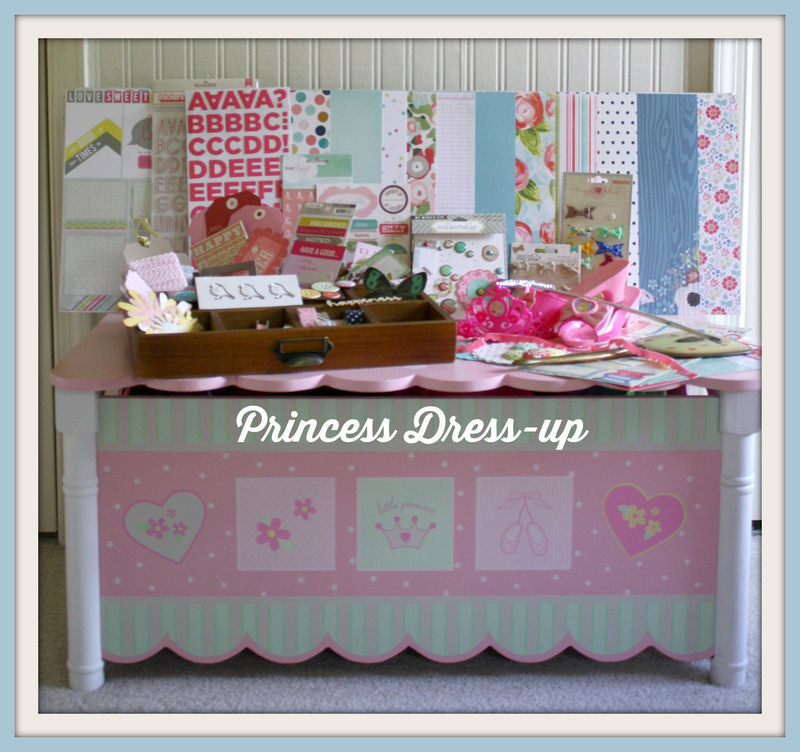 Time to get your tiara and magic wand and discover your inner Scrapbook Princess! I just know you'll create something magical! What a cute idea for a kit set up-so creative! Pretty kit, too! Fit for a princess, indeed! 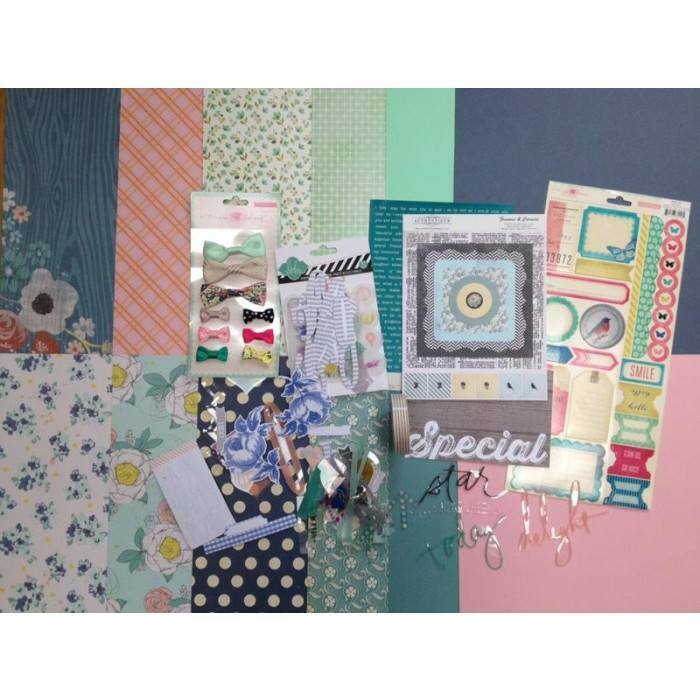 Happy scrapping with that very pretty kit! Oh my gosh, I'm coming to your house to play!!!! But seriously, what a beautiful display! Fabulous papers and embellishments.... and those little bird clips... ooooh!! Amazing kit!!! I can't wait to see what you create with it's contents!!! And to think I'm so late here to check out your wonderful staging! So glad I've dropped by and not missed your princess party collection! Love it. Beautiful kit, wonderful products and if only I had space, that printer's try would be perfect for me too! PS. 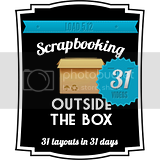 I've loved hanging out with you over at LOAD this month - awesome prompts!